How many times do you review your finances? Do you review them daily, weekly, monthly, or yearly? Maybe you review them a couple of different times throughout the week or many even a few times a day. One of the quickest ways to get a handle on your finances is to have money minute every day. This sixty-second window can be in the morning or at night – whenever you feel you will have the time to carve out one whole minute. For me personally, this minute is during my boys’ naptime when I can actually think and hear myself think for that matter. What exactly is a money minute? Why is a money minute important? A money minute is important because it allows you see where your money is actually going. Keeping track of your expenses is great, so long as you do it consistently or else you will lose track. During your money minute every day, you can use this time to track only one-day’s transactions making it easier to account for your expenses. This is also a great time to catch any errors made by your bank (fees, incorrect withdrawals, missing deposits, etc.) and an even better time to catch fraud or identity theft. 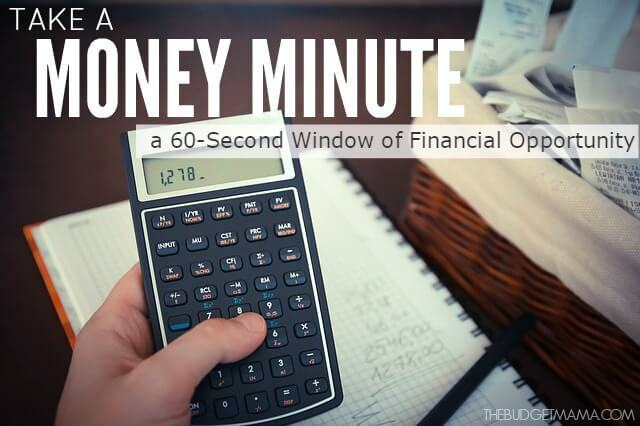 Will a money minute help with budgeting? Yes! Absolutely this will help with your budgeting process. 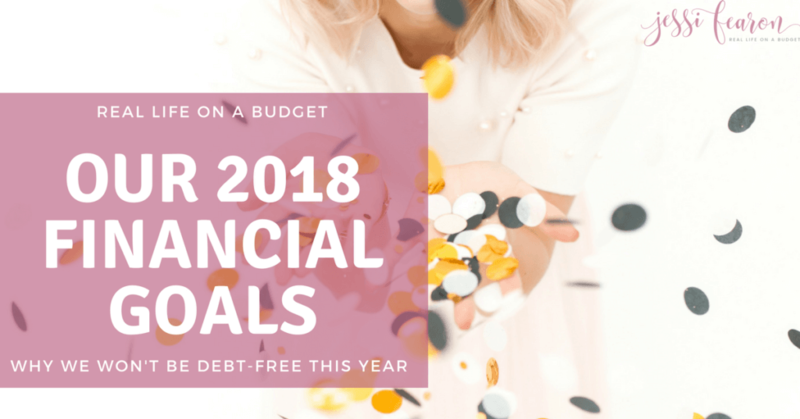 It is one of the many elements in Build a Budget that Works that will help you build and maintain a budget that works for you. A money minute every day makes sticking to your budget so much easier because you are not waiting until the end of the week or month to tally up expenses, income, and resolve any issues. You are taking care of things when they occur instead of scrambling after the fact to figure out where your money went and why your budget did not work. What do I do exactly during my money minute? During my money minute, I write down in my expense tracker all of the day’s expenses rounded up to the nearest dollar. I look over my expenses to determine what budget categories they fall into and take note of their totals. I then review where I am at currently in those categories of my budget – have I gone over, am I close to going over? If I have gone over, I can then easily review the transactions to determine where/why I went over and adjust my budget as necessary. Your process may look different depending on how you budget but the money minute should be used to track your expenses, determine any errors/discrepancies, and readjust your budget as needed. 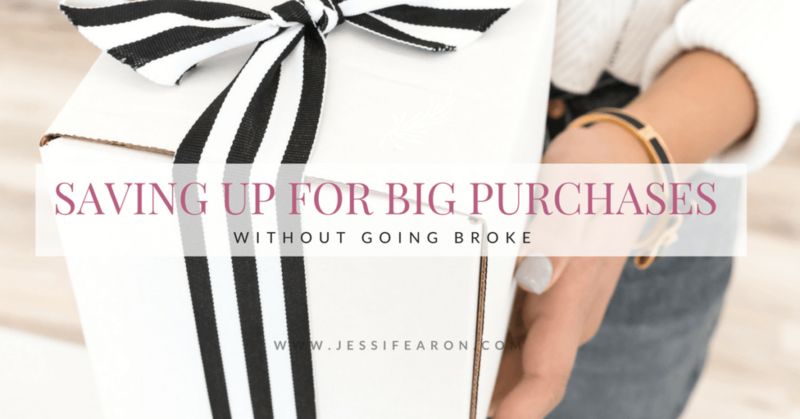 This is a great way to help stop spending money when you realize that you have already reached or exceeded the amount for a certain budget category – no more waiting until the end of the month to figure it all out! A money minute is an essential tool for making your budget work and for getting a handle on your spending. Use this tool to make your budgeting process easier and more efficient. 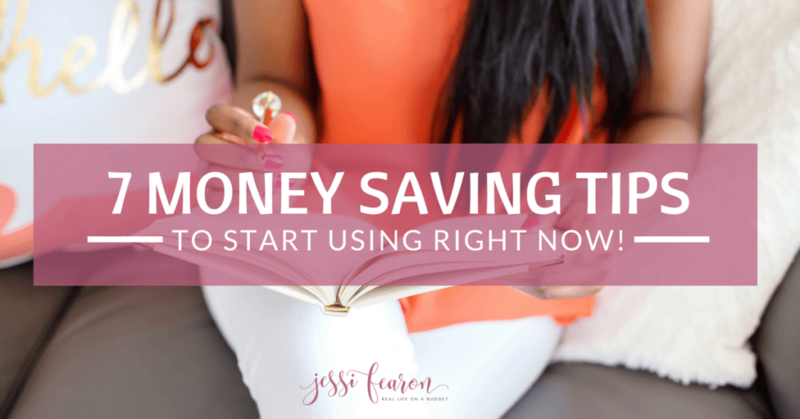 Do you have a money minute every day or what is your process for keeping yourself on budget every day? I can’t say that we have a money minute every day but it would probably be a good idea to take the minute on days where we have spent money, which is usually on the weekends! I’m looking forward to your daily posts this month!!! i try to mine daily and looked what i spent at walmart last month yikes a lil too much lol!but its a new month new budget ! what an interesting concept. I think I will try it.